Equipped with handles on ball bearings. Very sturdy for extensive use. 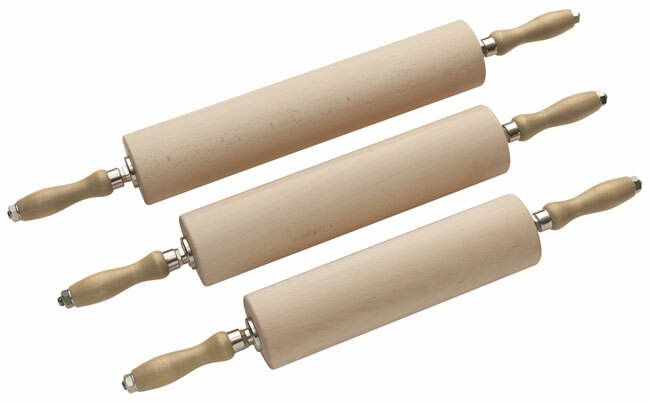 Beech wood roller diameter 3 1/8” Beech wood handles. Stainless steel mounting. Roller length – 15 3/4” Overall length– 26 3/4”.